Congratulations! Here are Your ALIGN Bonuses! Great Choice Purchasing Your Set of ALIGN Team Training Videos for your staff and volunteer leaders! 30-minute coaching call with Intentional Impact. We will email you a short pre-coaching evaluation form, and once we receive it back from you, we’ll review it and reach out to set up our call. If you have any questions in the meantime, you can email us as info@intentionalimpact.com. The Meeting Covenant. A powerful tool to help you dramatically improve the value, planning and outcomes of your team meetings! Maximizing Your Meetings. A short video to demonstrate the value and power of the Meeting Covenant. Private Facebook Group. Start growing your church by growing your network! Journey together – ask questions, share best practices, tips and advice among fellow church leaders. Monitored and questions answered by Intentional Impact, too! Explore the Sections below access your BONUSES! We will CONTACT YOU shortly to set up the call. First, we will send you a short self-evaluation by email. Once you have completed it and returned it to us (don’t worry, we’ll send all the instructions), we’ll review it and set up your call! The Meeting Covenant is a great resource to help you plan and set meeting rhythms as well as design efficient and thorough agendas. With The Meeting Covenant, you can become so much more efficient in your team meetings. Download your copy here!! Download the THE MEETING COVENANT HERE. This video is designed to help you and your team, so be sure to share this with everyone. It is meant to be viewed only from this private bonus page. The video comes from what we called Intentional Institute, an online service we used to provide. We are confident this bonus resource will help you to organize your meetings for greatest productivity. 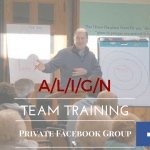 One SUPER WAY to make sure you and your teams stay on track as you learn new ways to engage volunteer leaders is to connect in this community-run private Facebook Group! Just click the link to join, and you will be approved within 24 hours (usually less!). We want this to be a group of like-minded church leaders and volunteers, and it is reserved for member churches only, which is why it’s private. But don’t worry, there will be plenty of interaction and we will be participating, as well! Jump into the Private Facebook Group today! Join the PRIVATE FACEBOOK GROUP HERE. Your Culture is your Growth Engine! Intentional Impact is a team of leadership training, consulting and coaching experts helping organizations create radical, exponential growth. We make sure sure your CULTURE is Aligned for Growth!